F. Scott Fitzgerald and Ernest Hemingway research paper delves into not only the comparison of these two authors but two pieces of work specifically done by each author which includes Snows of Kilimanjaro and Babylon Revisited. 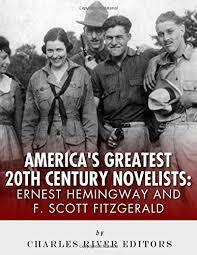 Ernest Hemingway and F. Scott Fitzgerald were two authors that defined the era of literature of the 1920’s. Your research paper could discuss the work often explored the same themes of post WWI disenchantment felt by the common man in America. Both The Snows of Kilimanjaro by Hemingway and Babylon Revisited by Fitzgerald illustrate the similarities and differences of the two authors through their respective protagonists. The most obvious similarities between the two protagonists of the stories is that they are looking at their lives in retrospect and realizing their mistakes. In Babylon Revisited, Charlie recounts his life and realizes that wealth and having too much money drove him to loose all that he ever wanted. While sitting at a bar realizing that he lost his daughter for good, the bartender comments, “I heard you lost a lot in the crash.” Charlie sadly responds, “I did” and adds, “but I lost everything I wanted in the boom.” It is his realization of this too late that makes Babylon Revisited a tragic short story. F. Scott Fitzgerald was a 20th center American writer noted for novels and stories about the "Lost Generation" of the 1920s. Fitzgerald published four novels during his life, including The Great Gatsby, which is his most famous work. The Love of the Last Tycoon, an unfinished novel, was published posthumously. Fitzgerald died of a massive heart attack in 1940 following two minor heart attacks, a tubercular hemorrhage, and more than two decades of alcoholism. He is still recognized as one of the most influential American writers. The Snows of Kilimangaro, a famous Hemingway story also represents a man’s retrospect of his life and his realization of a wasted existence too late. The protagonist is a dying fiction writer who is tormented by the many profound life experiences that he will now be unable to immortalize in print. Harry has never been able to exercise his talent decisively because has been too afraid to try. He realizes that, if he died, he "would not have to fail at writing [his thoughts] down" , and therefore does not fight against death. He merely awaits death, expecting to gain from it the spiritual enlightenment that others must labor for. Like Charlie of Babylon Revisited, Harry is enlightened to his failures too late to do anything about them. Ernest Hemingway is perhaps one of the best known and widely read American authors of the twentieth century. The main theme of these Ernest Hemingway stories is that of alienation and would be another interesting topic for a research paper. In each case a young man hardly out of adolescence had a hard time accepting the fact of life which was shown to them. 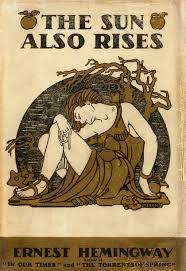 Themes in the Great Gatsby - Themes in The Great Gatsby essays explore numerous themes in The Great Gatsby. Stopping by Woods on a Snowy Evening - Stopping by Woods on a Snowy Evening by Robert Frost research papers examine Frost’s poems and explore deeper into themes that are originally revealed during a precursory reading. Paper Masters writes custom research papers on F. Scott Fitzgerald and Ernest Hemingway and delves into not only the comparison of these two authors but two pieces of work specifically done by each author which includes Snows of Kilimanjaro and Babylon Revisited.